Phil McIntyre, founder and CEO of Philymack, the entertainment and music management company for multiplatinum artists Demi Lovato, Nick Jonas, Joe Jonas/DNCE, and most recently The Band Perry and Iggy Azalea, has signed on as executive producer, representing CORE Media on the production of "American Idol" on ABC. Drawing on his extensive musical background, he will focus on developing the contestants' artistic vision, preparing them for a successful career after the show, along with liaising with guest artists and the online distribution of the music performed. Additionally, music producer, live music director, and multi-instrumentalist Kristopher Pooley has joined the series as music director. 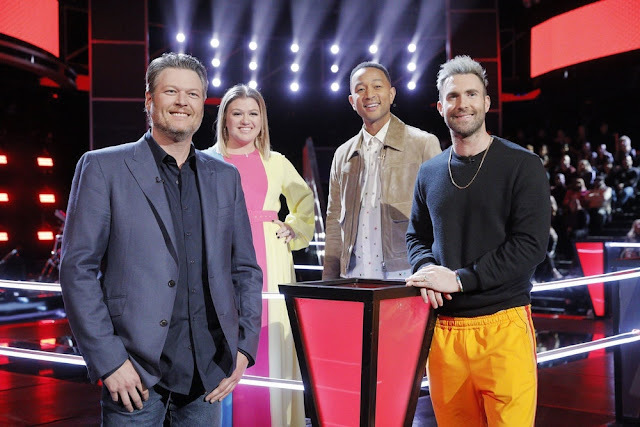 In this role, he will be responsible for working with the contestants to create song arrangements, leading the live band, and helping to guide and advise the contestants on their journey to become the next superstar. Pooley's career has kept him busy producing music for television, including the Super Bowl Halftime show, "The Glee Project," "American Horror Story," "American Bible Challenge," and "Glee," among others. As a veteran live music director, Pooley has worked around the world arranging and music directing shows for Katy Perry, Kesha, Gwen Stefani, Adam Lambert, DNCE, Dixie Chicks, Miguel, Tegan and Sara, Niall Horan, Demi Lovato, Rita Ora; and as a multi-instrumentalist for Melissa Etheridge, Morrissey, Smashing Pumpkins, Jane's Addiction, Siouxsie Sioux and many more. "American Idol," the iconic series that revolutionized the television landscape by pioneering the music competition genre, will return to airwaves on Sunday, March 11 at its new home on The ABC Television Network. Helping to determine who America will ultimately vote for to become the next singing sensation, are music industry forces and superstar judges, Luke Bryan, Katy Perry and Lionel Richie. Emmy Award-winning host and producer Ryan Seacrest will return as host of the beloved series. "American Idol" is produced by FremantleMedia North America and 19 Entertainment, a division of CORE Media Group. Executive producers include FremantleMedia North America's Trish Kinane and Jennifer Mullin, along with co-executive producer, Megan Wolflick. FremantleMedia International distributes the series worldwide.